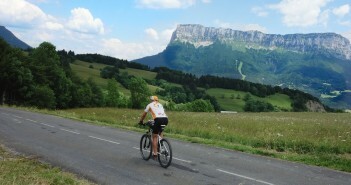 You are at:Home»Posts Tagged "granier"
A fantastic four col loop through the Chartreuse alps above Chambéry. The huge mountain massif between Grenoble and Chambéry is the Parc naturel régional de Chartreuse. Beautiful mountains and some great cycling.